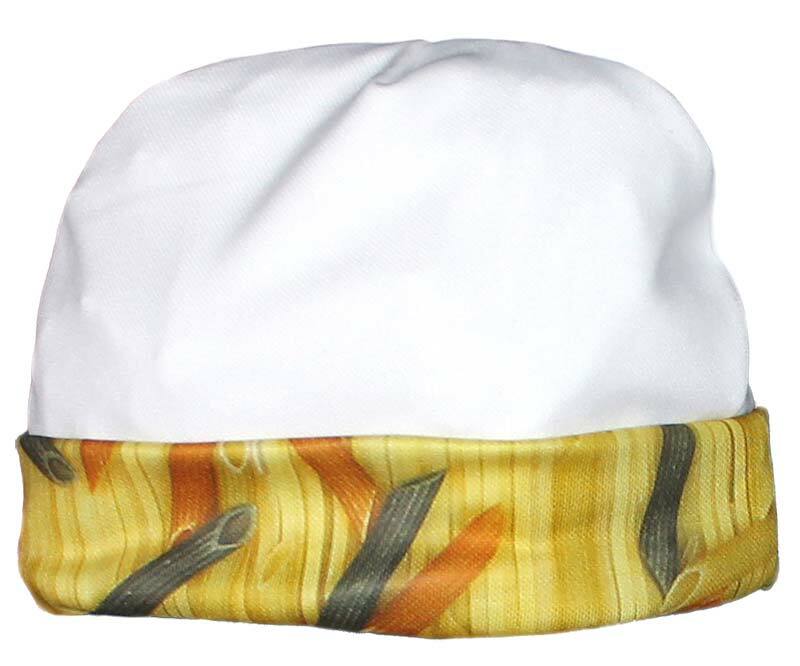 This cap will keep your baby all warm and snuggly and sports an exclusive dyed pasta image on the cuff. 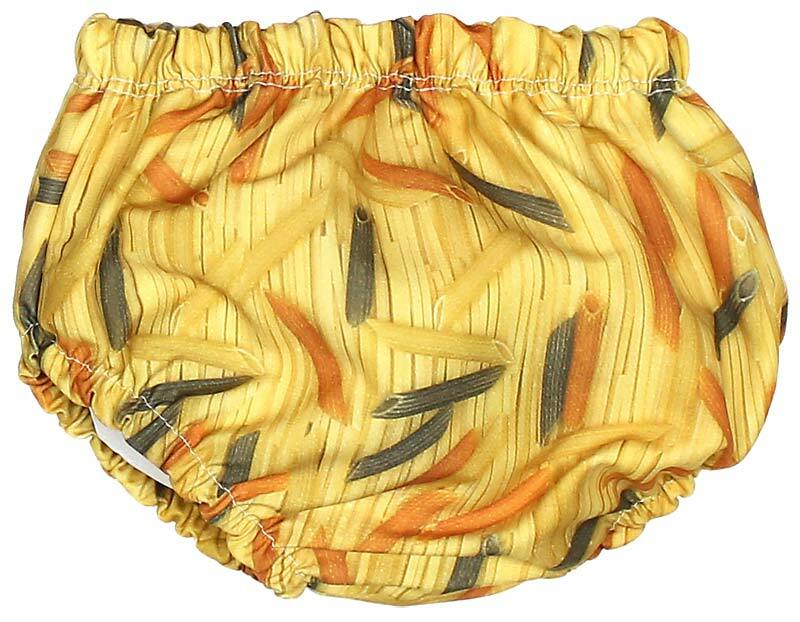 It is amazingly soft and features images that are dyed into the fabric that will not fade, crack or peel. It matches other items in the Bella Pasta group but will also co-ordinate with a lot of other things including denim. 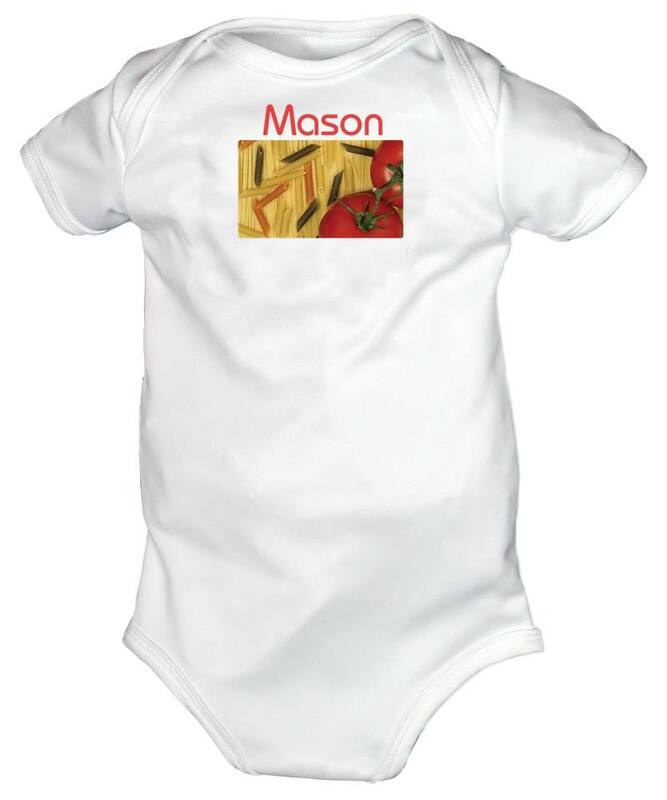 This moisture wicking, polyester fabric keeps a baby dry, cool, wrinkle free and always feel good against baby's delicate skin. Little spills come out easier and it retains less laundry detergent and any other chemicals when washing vs. cotton. It will provide longer wear and will hold up better throughout each wash. 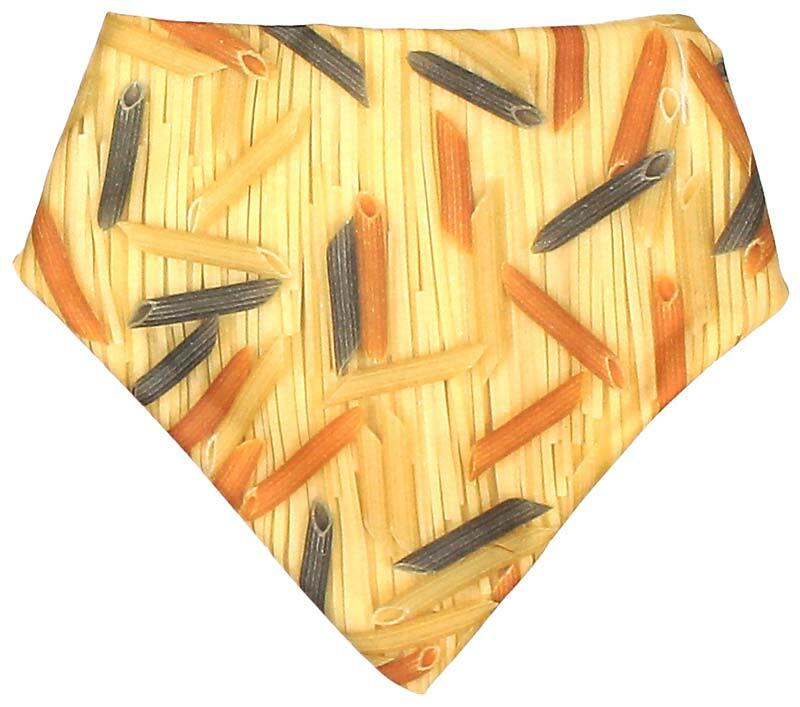 This Bella Pasta image is unisex as are other images including, Sugar Rush, Warm Cookies, Candylicious and Fresh Bagels. Nuts & Bolts are for a boy, while Secret Garden is for a girl.